Whilst Xbox 360 owners will finally get to experience a Metal Gear game at the same time as PS3 owners, they won't get everything their Sony counterparts will enjoy. Metal Gear Rising: Revengeance will mark the return of VR missions for the series, but only for people that own the PS3 version of the game. They will be paid DLC and not on disc content, but it is still exciting news if you planned on getting a PS3 copy anyway. Anyone that played these in the past will know how extremely difficult they got and having played them in MGS2 I never got close to completing them all. I wonder if they will be the same level of toughness now that many games have ‘dumbed down’ over the years. This is Metal Gear we are talking about however. 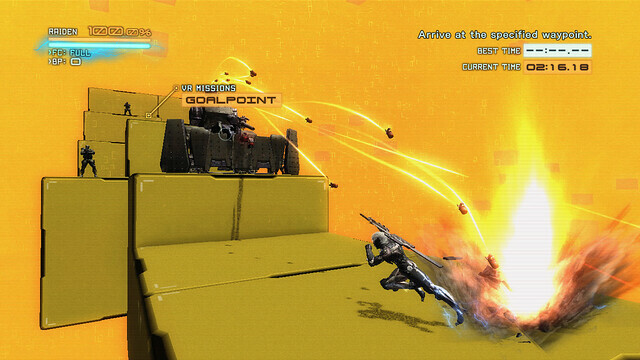 Metal Gear Rising: Revengeance launches on February 19, 2013 on both Playstation 3 and Xbox 360.